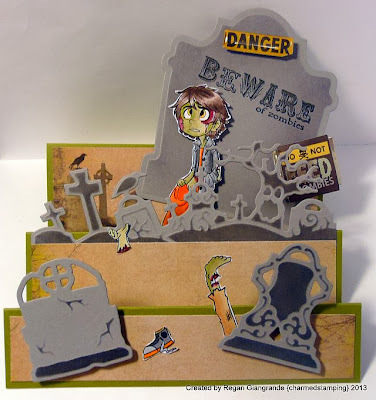 Welcome to Day 8 of the 13 Days of Halloween with Simply B Stamps! 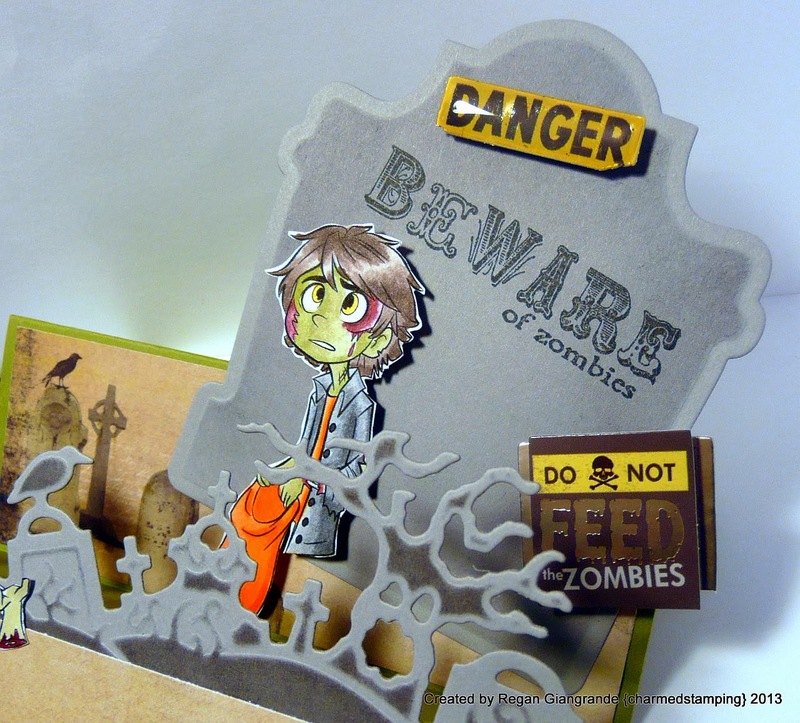 This challenge is all about zombies coming up out of the ground! I apologize in advance for the brief post, but the the time table to complete the challenge is shorter than the previous ones and I have a full weekend already! I am off to the zoo shortly for the day and their jack o'lantern spectacular at dusk! I decided to make a stair step card using Bwains Christian from the Teen Scene Halloween 2012 collection. 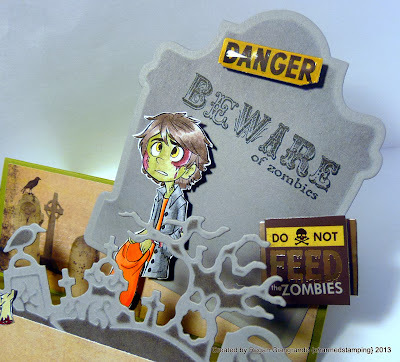 I got out a few of m Halloween Spellbinders dies and the new My Mind's Eye - Wicked pad. The stickers are from Paper House. Markers used: Copics (YG91, YG93, YG95, N0, N2, N4, N6, N8, YR02, YR04, YR07, Y35, R39, R89, E79, E70, E74, E79). Such a cool and amazing card! Love the scene you created! Thanks for joining us for the 13 Days of Halloween at SBS! Love this creation. Thanks for joining in the 13 Days of Halloween with SBS.